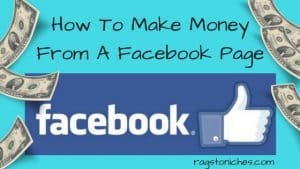 How To Make Money From A Facebook Page! Last updated on March 8, 2018 By Nat 2 Comments This post may contain affiliate links. We appreciate you supporting Rags To Niches! Full disclosure here. How To Find Great Keywords: Alphabet Soup Technique! Last updated on November 30, 2018 By Nat Leave a Comment This post may contain affiliate links. We appreciate you supporting Rags To Niches! Full disclosure here. 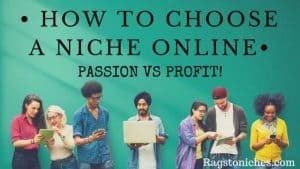 How To Make 100 dollars a day online? Is It Possible? Last updated on April 4, 2019 By Nat 10 Comments This post may contain affiliate links. We appreciate you supporting Rags To Niches! Full disclosure here. 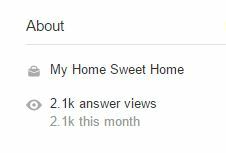 How To Earn Money Online With Quora! Last updated on October 11, 2018 By Nat 11 Comments This post may contain affiliate links. We appreciate you supporting Rags To Niches! Full disclosure here.